Join us for a tour of Northern Patagonia and Buenos Aires including an unforgettable solar eclipse. 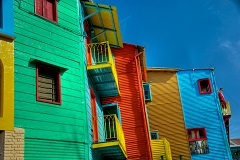 Take in the enchanting city of BA, exploring it's cosmopolitan and vibrant barrios. A short flight south brings you to Northern Patagonia's lake district. Discover the spectacular natural beauty of Bariloche's huge snow-capped mountains and deep blue lakes before observing the eclipse. The buzz continues with a captivating drive along the scenic seven lakes route to San Martin de los Andes and the nearby Lanin National Park. Return to BA for a tango show and one last steak before heading home! Welcome to Argentina! Upon arrival in Buenos Aires you will be greeted by an experienced guide at the airport and transferred by private vehicle to your hotel. The afternoon will be free to rest and recover from your flight or to head out and discover the city. Buenos Aires is the perfect blend of old world and new – elegant architecture and cobblestone streets sit alongside charming restaurants, hipster hangouts and a thriving art scene to create a bustling metropolis with soul. After breakfast it’s time to start exploring all the wonders of this remarkable city. The City Tour gives you an insight into the many faces of BA. First, the northern barrios of Palermo and Recoleta, where the beautiful people shop in high end boutiques and sip coffee in minimalist French style cafes on pretty tree-lined avenues. Visit the outstanding architectural and historical gems of Centro - the imposing Colon Theatre, one of the most important opera houses in the world; the Plaza de Mayo and infamous Casa Rosada (Evita’s pink house); the Old Cabildo (Town Hall) and the Metropolitan Cathedral. Wander through San Telmo, the barrio of choice for aristocracy until the turn of the 19th Century before moving on to the city’s colourful La Boca barrio. Originally the domain of Italian Immi grants, the vibrant cobblestone streets showcase the city’s love affair with Tango. Finally, Puerto Madero, with its many chic bar and restaurants round off this heady excursion. The afternoon is at your leisure to continue exploring or perhaps settle in for an afternoon of steak and red wine. After breakfast you will be transferred to the domestic airport for your flight to San Carlos de Bariloche on the shores of Lake Nahuel Huapi. Following transfer and hotel check in, with the assistance of your local guide, you will have a free afternoon to get your first taste of Patagonia. Bariloche's deep blue lakes, towering mountains, glaciers and virgin forests are simply stunning – the scenery alone will leave you breathless. Take a stroll by the lake or wander the city and try not to be tempted by the multitude of chocolateries on Calle Mitre offering delectable treats by the kilo. Be sure to save some space for dinner back at the hotel where your guide will brief you on the plan for the big event – the Total Solar Eclipse! Rise early and enjoy breakfast before starting the journey along Ruta 237 towards the carefully selected eclipse viewing point. The camp features Bedouin tents, astronomy equipment and catering service to ensure a magnificent day. Once the unforgettable natural phenomenon draws to a close we will revel in this remarkable event with a sunset celebration before returning to Bariloche. Dinner at the hotel offers yet another chance to relive the experience, share pictures and special memories of the day. This morning it is time to get out of the city and take in the stunning landscape of the blue lakes, snow-capped mountains and towering trees. 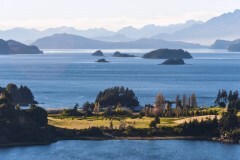 From Bariloche, you’ll begin your adventure with a drive along the Nahuel Huapi lakeshore on the San Pedro Peninsula. At Playa Bonita, you’ll enjoy views of Huemul Island before continuing your journey. 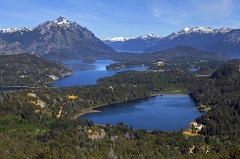 You’ll hop aboard a chair lift at Campanario Hill and ride to the top for impressive views of the region—Nahuel Huapi and Moreno lakes, El Trébol lagoon, San Pedro, Victoria Island, Otto, López, Goye and the Catedral hills, and the town of San Carlos de Bariloche.You’ll resume your journey to Llao Llao Peninsula, with its hilltop hotel and San Eduardo Chapel—architectural jewels of the region. The lakeside Pañuelo Port is the starting point for many lake excursions. Cross the bridge over Angostura River, which joins Nahuel Huapi Lake with Moreno Lake, and enjoy views of López Bay at the base of López Hill. At Panoramic Point, take time to view Moreno Lake and Llao Llao Peninsula before crossing the bridge over Moreno Lake and beginning your return to Bariloche. Bariloche has a decidedly German flavour with alpine-style architecture and culture obvious throughout the area. The city has been a popular since the 1800s with German immigrant settlers seeking a new life – and some running away from their old one. As a result of Juan Peron’s Nazi sympathies, Bariloche became an unwitting refuge for several high-level Nazis after the war, many of whom lived unbothered until the 1990s. Aside from a few unsavoury arrivals, the German influence has left one rather more welcome impact…beer. Bariloche pays special tribute to beer and even has a street dedicated to the beverage. This afternoon you will visit one of the main breweries for a tasting session. There will also be a chance to enjoy a traditional picada, showcasing all the wonderful flavours of Patagonia including a series of smoked meats such as venison, boar, trout and salmon. A fter breakfast it’s time to discover the beauty of the Seven Lakes Route. 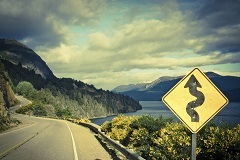 Taking in a section of the famous Ruta 40, the road winds its way from Bariloche through the districts of Villa la Angostura and San Martin de los Andes. From mountains that tumble into aquamarine lakes to panoramic vistas and tree-lined, salmon-filled rivers, the 3 – 4-hour drive is captivating. Our destination, San Martin de los Andes is located on the shores of Lake Lácar, within the Lanín National Park, a paradise of peace and quiet; immersed in an environment of rivers, waterfalls and magical forests. After checking into your hotel, your guide will take you on a tour around this small mountain village. First you will have the chance to admire the stone and wood architecture characteristic of the area before venturing up to the surrounding hills for postcard-perfect views of the lake and town. Free evening to relax after a long day. After a hearty breakfast, the amazing journey to Lanín National Park begins. 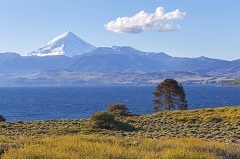 Today you will reach the very base of the Lanín volcano as well as exploring the shores of the immense, blue waters of the Huechulafquen Lake and one of the most famous fly fishing spots in the world. First, it’s time to become acquainted with the local indigenous Mapuche culture. We visit Junin de los Andes, home to the Mapuche culture centre where there are traditional handicrafts offerings. Before that you will visit Junín de los Andes, its main church and the Mapuche cultural centre, where they offer traditional handicraft. This is our first contact with the Mapuche culture. Following a tasty asado lunch at a typical lakeside hosteria we reach Puerto Canoa. Why not opt to sail across the lake to see the incredible 6km lava field at Estorial? Finally Lake Paimun, with green waters warm enough for swimming – a rare opportunity in Patagonia! Today you will be transferred to the airport to board flight back to the big City!! 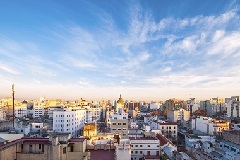 Upon arrival in Buenos Aires your guide will take you to your hotel. 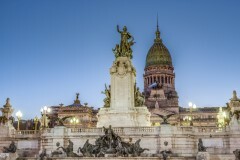 Buenos Aires' nightlife provides the local Porteños, and its ever-growing swarm of visitors, with a seemingly endless array of quality entertainment options. This evening you'll be blown away by an unforgettable tango show performed by the best dancers and singers of this seductive genre, while tucking into a sumptuous dinner. This is the way one ought to live in Buenos Aires, the city of tango. After your last sumptuous breakfast, make sure you save some time to buy your last-minute souvenirs and/or photos before your transfer to the airport. It's certain you'll carry the warmth of Argentina´s people in your soul, not to mention the natural beauties of this wonderful country in your camera! It wouldn't be too much of a surprise if you're back over this way sometime soon… Argentina will be waiting.